Cat is a holistic healer by nature; practicing as a Registered Nurse for the last 15 years, Fertility Nurse for 4 years, Massage Therapist for 12 years, Reiki Master for 3 years, and currently embarking on a Cranial Sacral path. Holistic health encompassing an infusion of eastern and western medicine is her intention with each being. In order to provide the most authentic treatments possible, Cat endured training in Thailand and Guatemala, specializing in Thai and Mayan Abdominal Massage/womb healing. The medicine of sound and vibrational therapy is also shared with Cat’s treatments and Ocean Acupuncture’s events “Sound Healing Acupuncture “AcuVibes”. After many years as a travel Nurse across the country, and administration of countless medications, teaching patients natural herbal remedies and nutritional guidance will remain a life long goal of hers as a practitioner of optimum health and wellness. Chad Woodward has been a massage therapist and bodyworker for over six years. He originally studied massage and bodywork at Body Mind College in San Diego, CA. He’s since studied at Healing Hands, Muller College, and Natural Healing Institute. Chad is also a Biodynamic Craniosacral Therapist with extensive training from Lifeshapes Institute. His experience in Craniosacral Biodynamics has profoundly shaped all aspects of his massage and healing work through the learned cultivation of presence, inner stillness, and trust in the innate intelligence of the natural world. In addition to bodywork, Chad is also an evolutionary astrologer, helping others uncover their life purpose, gifts, challenges, and past lives. He also loves cats, hiking, fitness, traveling, and studies nutrition and herbal medicine as a side passion. CJ has been practicing Massage therapy/body work and holistic health for 2 years. He is well versed in all modalities and specializes in deep tissue, Thai/herbal Thai, shiatsu, and secures a deep focus into structural integration. Structural integration reorganizes the fascia (connective tissue) of the body and realigns the natural structure of the skeletal system. CJ is an athlete himself and has studied the body extensively. He spends his free time rock climbing, cycling, lifting weights, playing the Native American flute, and studying human design. Danielle is a nationally board certified Holistic Health Practitioner. Graduating in 2007, she holds a certificate in Reiki and is continuing education in nutrition and functional medicine. Danielle's passion and purpose are found in her ability to support her clients through trauma and PTSD and journey them towards healing. She believes there is a purpose to connecting with every client she meets, with a foundation of trust being of the utmost importance. Her philosophies of healing integrate the soul and senses of the body to support the body in healing from traumas (emotional, mental and physical). The modalities she specializes in to connect with her clients consist of massage, energy medicine, sound healing, essential oils, homeopathic remedies and nutrition. Danielle believes you can heal your life. And through connecting your soul and listening to your body the intuitive process of healing can begin. 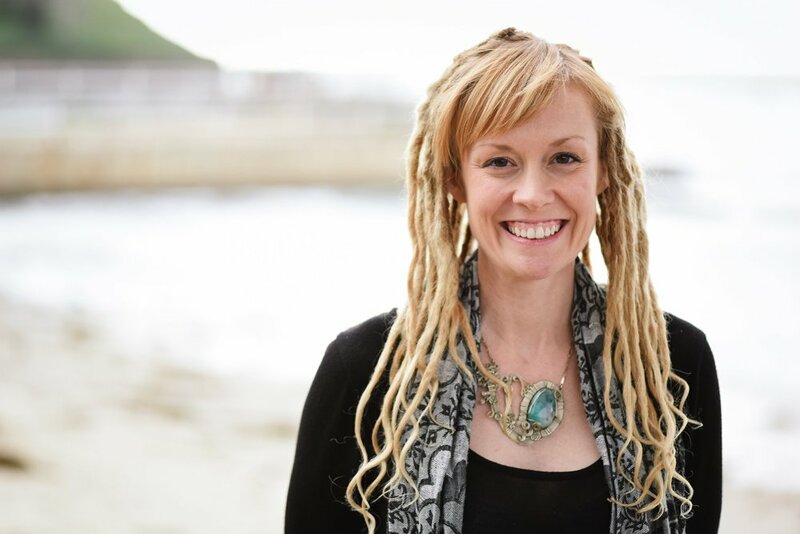 Danielle is here to support you with the gifts of holistic medicine. Nicole is a Certified Massage Therapist and Licensed Esthetician. She grew up in Northern California and began her formal training in massage at the National Holistic Institute before moving to Oceanside to raise her family. She has always considered herself a healer and has trained in various bodywork and skincare modalities to broaden her approach and improve her ability to tailor services to the specific needs of the client. As a runner having completed the San Diego Rock N Roll Marathon and massage therapist supporting the Lymphatic and Lymphoma Society’s Team In Training for the marathon she has gained firsthand knowledge of the needs of many athletes. She is determined to always be learning and devoted to the well-being of the individual.